You and I both know that this is an exciting day and age for the media. However, and I don’t know about you, usually when I tell people I study Journalism they automatically assume that all I want to be is a paparazzo. The truth is, most people just don’t understand what vital roles media jobs play in everyday, twenty-first century life. Versatile, well-trained journalists are in high demand! If you know you love journalism but just aren’t sure what’s available for you, take a look at the lists below. While these are not exhaustive lists, hopefully they help you dream about life after college. Now the question is, what do these jobs mean and how do I break into them? Below is a list of a few different journalism career paths you could take according to your concentration. Reporting: A reporter can work for newspapers, magazines, websites, television, or radio. These jobs involve researching and interviewing people and writing stories on a deadline in order to inform the public about current events. Might be for you if you love talking to people, asking questions and pursuing answers, and writing compelling stories. Editing: Editors may initiate and approve story assignments, assist writers in adhering to their project’s original idea, and edit the work of other writers. Sometimes they manage creation of all editorial content, direct certain departments, and work with the executive editor on all aspects of producing the company’s print and digital products. Might be for you if you love crafting stories, are good at grammar and revision, and lead others well. Copywriting: Whenever you watch an advertisement on television, hear one on the radio or read one in the newspaper, a copywriter developed the message being delivered. Might be for you if you're naturally persuasive, creative and can cram a lot of convincing information into a few words. If any of these jobs interest you, consider pursuing an editorial or reporting internship. This will help you get your foot in the door of your dream job! Photojournalist: Photojournalists take informative images of news events around the world for video and print media. Whether working independently or with a news agency, photojournalists must have an artistic eye and technical expertise to produce competitive, high quality photographs or videos. 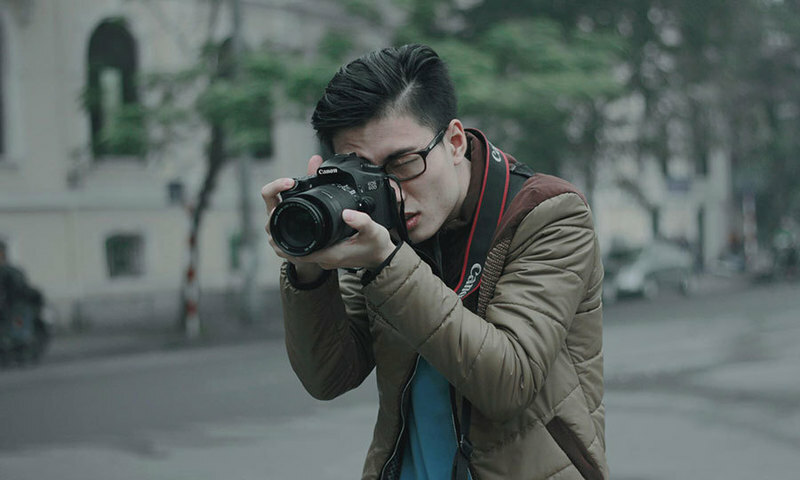 Might be for you if you love art, storytelling, and capturing split second moments in time. Desktop Publisher: Desktop publishers operate computer software and equipment to design, lay out, and produce print copy; this means positioning text and art elements in a visually appealing way to design print or web pages, using knowledge of type styles and size and layout patterns. Might be for you if you love art and design, story telling, making order out of chaos, and seeing tangible results. Graphic Designer: a person who designs a visual message for a product using words, images and classical art techniques for a client. Using an in-depth understanding of advertising and composition, a graphic designer can make a creative and interesting piece that helps the product stand out. Might be for you if you are a traditional artist, love storytelling and comics, and are good with computers. There are tons of creative industries where these skills are needed. Anchor: Anchors, or announcers, present news, cultural information, sports and more to a given audience. They may provide commentary or interview guests about these topics or other important events. Might be for you if you are full of creativity, love people, have a good deal of social perceptiveness and no stage fright. Production: Producers works with and assigns staff as required to perform writing and pre-production work on news segments. During a newscast, the producer works with engineers and camera personnel (for television production) to direct as necessary and make any needed on-the-fly changes in the program. Might be for you if you love live events, ad-lib, and interacting with a great variety of people. Broadcast and Sound Engineering Technician: Broadcast technicians set up, operate, and maintain the electrical equipment for radio programs, television broadcasts, concerts, sound recordings, and movies. Might be for you if you love producing engaging and creative content, the news, and working with tech. If you love tv broadcasting, you definitely want to get some experience through an internship. You may also consider sports broadcasting internships, and radio internships. Foreign Correspondent: Foreign correspondents are journalists or commentators stationed in a foreign country that gather, analyze and report events of international importance for any medium. Foreign correspondents have to have be able to understand the context of a given situation and go about reporting (writing, broadcasting, or photographing) with great cultural sensitivity. Might be for you if you love travel, storytelling, and understanding people who are different from you. Publications Specialist: Both for-profit and nonprofit organizations produce publications for employees, customers, clients, donors and volunteers. Someone has to write and edit the copy, put it into an appealing design and get it printed while taking into consideration the audience/culture[s] of the publication and create appealing content accordingly. Might be for you if you are creative, people savvy and love making things look beautiful. Fact Checker: Fact checkers go over a story meticulously to confirm all the facts within it. In order to ensure an article’s accuracy, a fact checker must rely on two skills: independent research and, to an extent, reporting skills. Might be for you if you love research, accuracy and have a lot of random knowledge floating around in your head. If one of these seems like the right fit, it may be valuable to gain cross-cultural experience. Consider pursuing an international journalism & media internship, interning in a communications department of a missions or relief organization, or interning for travel and culture magazines. If any of these jobs appeal to you, investigate them! One of the best ways to figure out if a certain media field is for you is to get an internship that gives you practical experience in that area. Internships are valuable for a TON of reasons. Not sure where to begin with internships? Check out this article for tips!